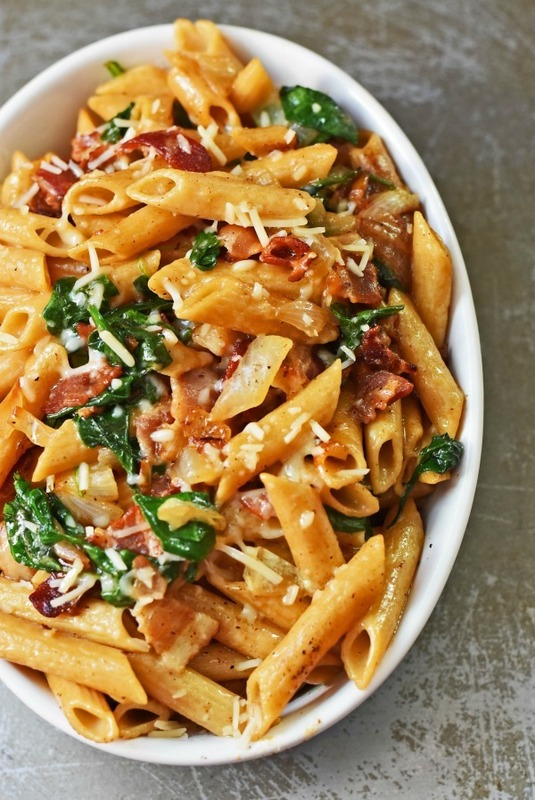 By now, I am sure many of you have stumbled across online fresh meal delivery services. They all seem to look so nice, and promise fresh ingredients upon arrival. 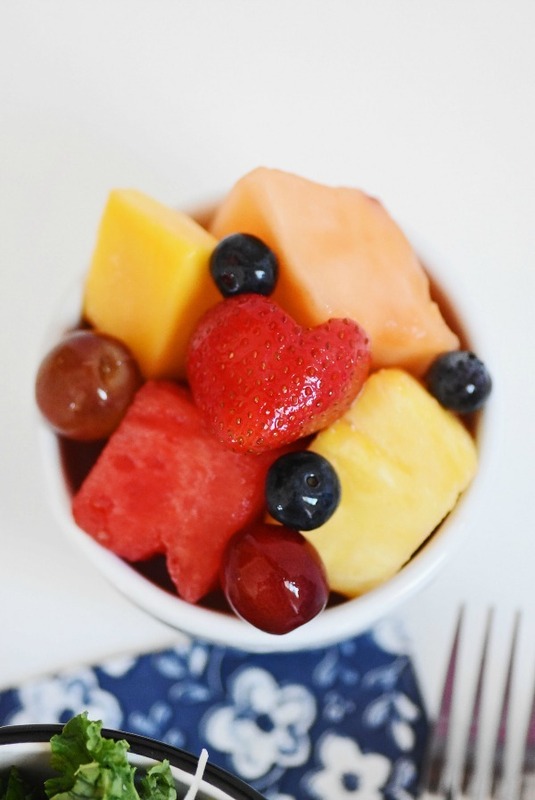 Just the thought of shopping online for meats, fruits, and snacks is so appealing. However, I know that it is not all sunshine and lollipops because I have had a several not so glorious experiences with online meal delivery services. Ingredients would arrive soured, not packaged right, and smashed to oblivion. 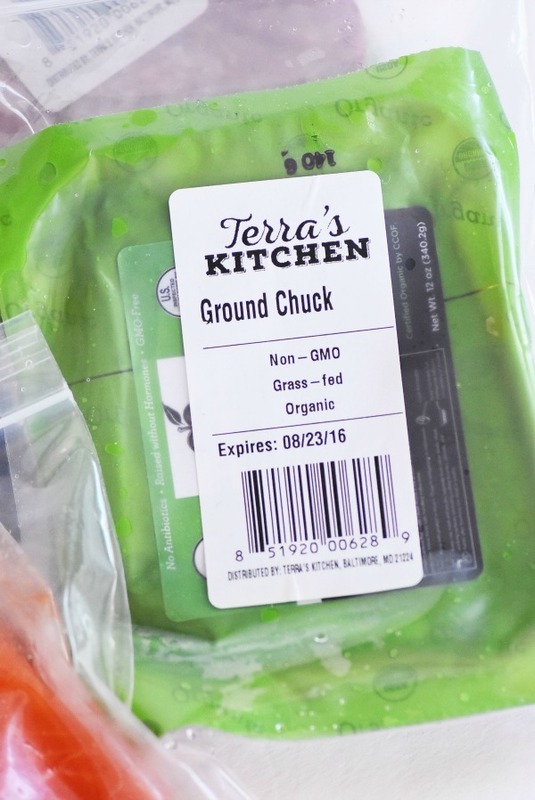 Thankfully, the folks at Terra’s Kitchen restored my faith in the virtual meal shopping service industry and I am happy to share with you all my thoughts. For one meal, I even got to make some Oven-Baked Lemon Herb Salmon using their fresh sustainable and fresh salmon. 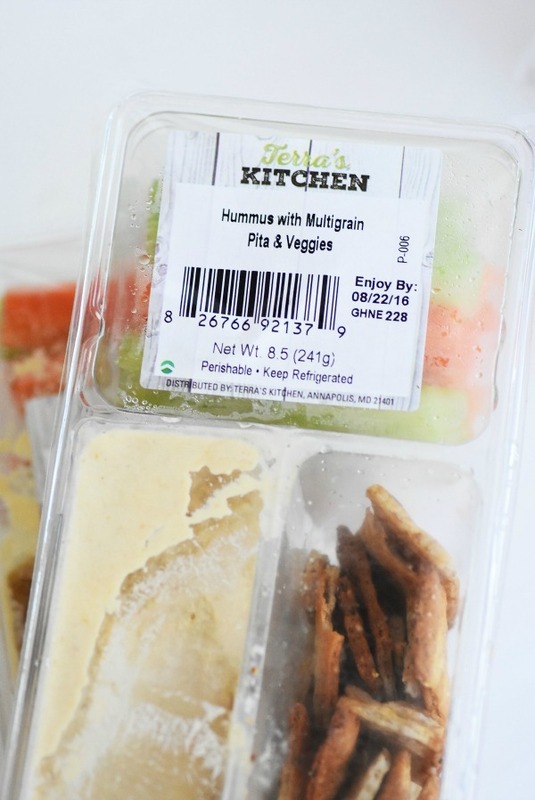 When I signed up for Terra’s Kitchen, it was super easy and I decided to choose the Grab & Go proteins, fruits, salads, and snacks since I wanted to really tasty a variety of their products. 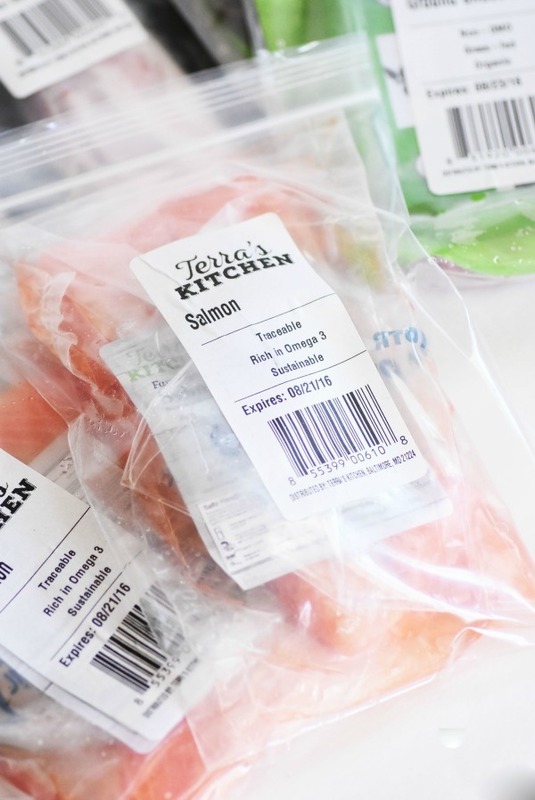 Terra’s Kitchen does conveniently feature a weekly menu of recipes which you can choose to recreate in 30 minutes or less featuring pre-portioned, and pre-packaged ingredients. For us, the Grab & Go option best suited my needs so that I was able to try a variety of their fresh offerings. What really makes Terra’s Kitchen stand up against all competitors is that they ship in a climate-controlled, eco-friendly vessel. 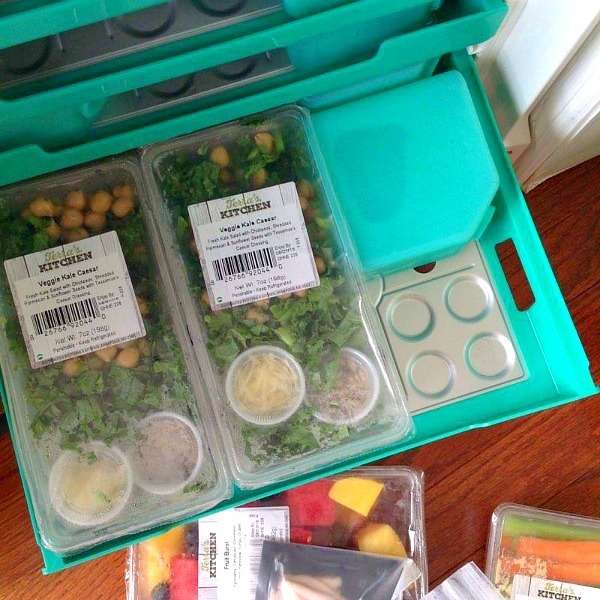 This vessel is unlike any other fresh meal delivery service because you can order enough ingredients to fill it. Plus, it is sturdy, made of plastic, and features drawers with little ice packs coolers on each level. Depending on what you order, your items are packaged according to how much ice they will need to keep them at the peak of freshness. What’s really awesome is that the vessel can be shipped back the next day at no cost to you. Each vessel can be used over 100 times with normal use! This really separates them from the competition because foods will not become squashed. 2 Portions of Applewood Smoked bacon *The BEST bacon I have EVER had!! It was so fresh, tasty, and not at all salty or fatty!! Each item was super fresh and ready to be either prepared, or enjoyed. I LOVED the fresh Kale Cesar Salads, and would order again just based on the flavors these possessed. The Fruit Burst packages was enough for myself and the kids to enjoy some fresh sweetness. We loved how the fish and meats were so amazing and contributed to several delicious and fresh meals. 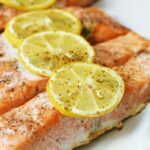 One meal I wanted to feature that is surprisingly easy to make is this Oven-Baked Lemon Herb Salmon. Just 30 minutes in the oven and the fish had a delectable crispy bottom skin, and flaky texture like no other salmon I have ever had! The difference was the fact that this fish was not farm-raised and was of highest quality. 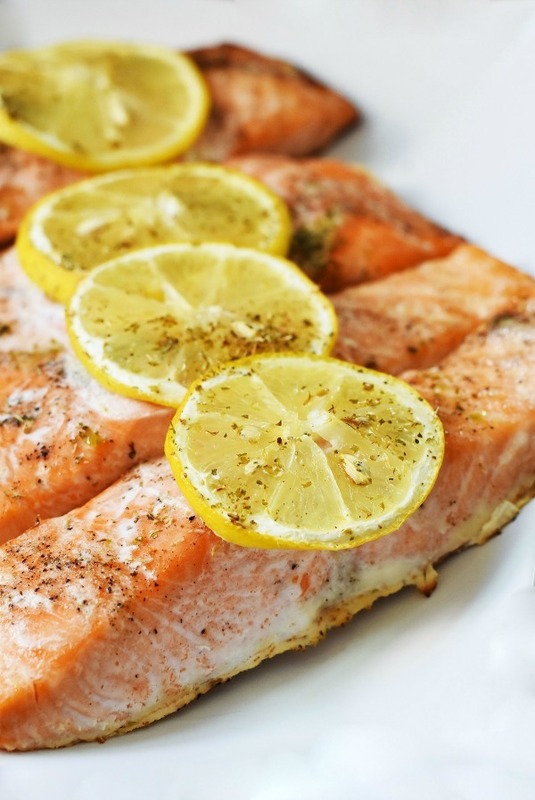 An easy and delicious way to prepare and enjoy salmon filets. Lay a lemon slice on each piece and bake at 350 for 30 mins. As you can see this dish not only tasted amazing but looked so good! I truly believe this fish was so enjoyable due to the fact that it was of highest quality, fresh and not frozen. What a great service this is. I like that the vessels are reusable. Your salmon sure does look delicious. The food looks awesome! I’ve given thought many times to trying this kind of service, I think you just sold me on this one! My mouth is watering for some salmon now. 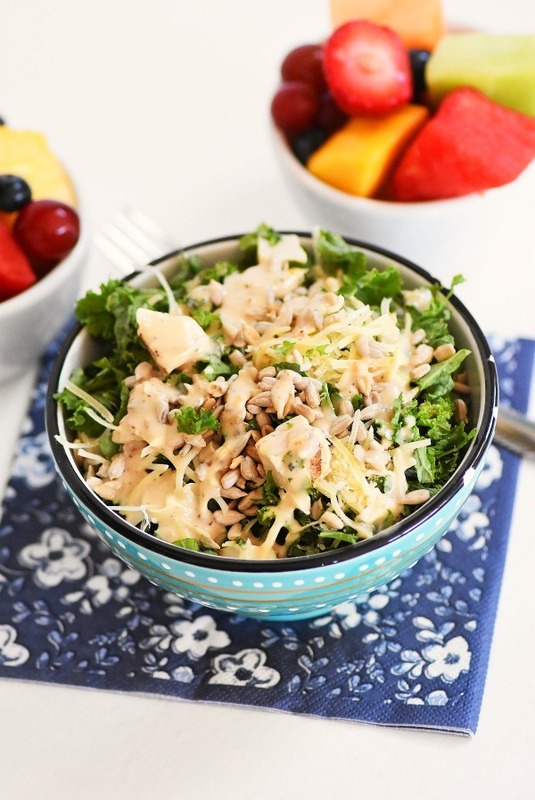 I love salmon anyway, and this recipe makes it look even better. 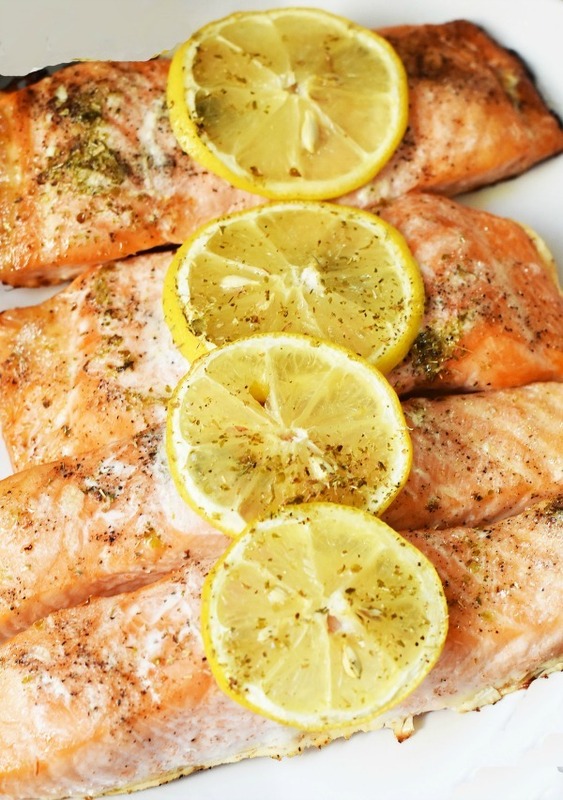 Lemon herb salmon? I might just have you for dinner tonight! 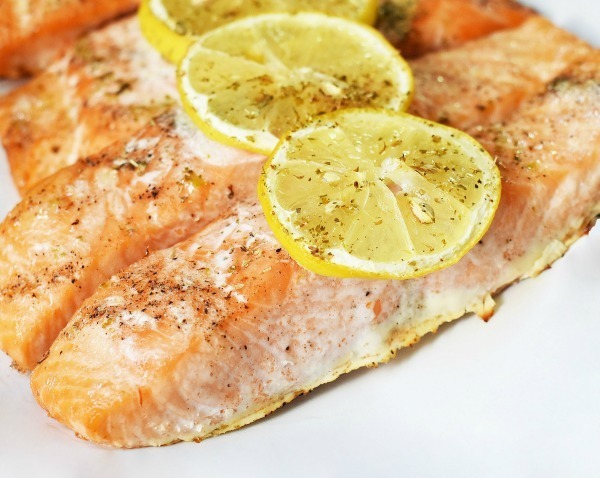 I have a whole freezer full of fresh caught salmon, I will have to try this recipe! All of this food looks so good! My husband loves salmon. Looks like a great recipe.